MYSTICAL PURSUIT staked her claim to the title of Tasmania’s best two-year-old when she gave her rivals a galloping lesson in the $100,000 Listed Elwick Stakes over 1100 metres in Hobart yesterday. Mystical Pursuit went into the race on the back of a maiden win in Launceston in late December and a last-start victory in the Alfa Bowl at the same venue last Wednesday week. 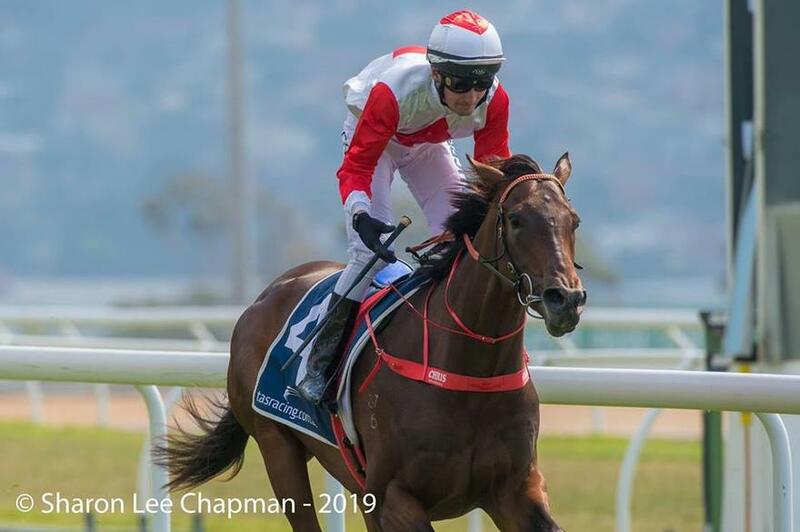 The Adam Trinder-trained youngster was attempting to replicate the feats of her older three-quarter sister Mystic Journey that is being hailed as potentially the best three-year-old filly at up to a mile in Australia. Mystical Pursuit had to cope with travelling for about four hours in a float from Spreyton for the first time and race on a track that was alien to her but the daughter of Needs Further handled the task like a seasoned professional. Stable apprentice Chris Graham fired the filly from the gates to lead and when he had a peek over his shoulder entering the home straight all he could see was his rivals gasping for air as they tried to bridge the gap. Mystical Pursuit ($1.50 fav) scored by over two lengths from Gee Gees Darl ($6.50) with Strike Celebration ($11) about the same length away third. “I could not be more pleased with this result because she handled the pressure really well,” Trinder said. “Her demeanour through yesterday’s process was amazing. “From the moment she walked into the mounting yard to when she crossed the line she acted like the thorough professional. Gee Gees Darl ran on powerfully to suggest she will be a contender in the Gold Sovereign over 1200 metres, while Strike Celebration ran an honest race to suggest she also will be competitive at her next few starts.